My son loves skin. Alright, before you call child protection services on me, I will clarify... He loves crispy skin such as Peking duck, roast pork cracklings and fried chicken. For a kid who is as adventurous as a vegan at a Texan BBQ, he sure loves the crunchy stuff. 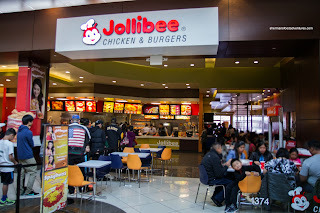 Hence, while we were at Southcenter in Tukwila, it seemed like a good idea to hit up Jollibee. 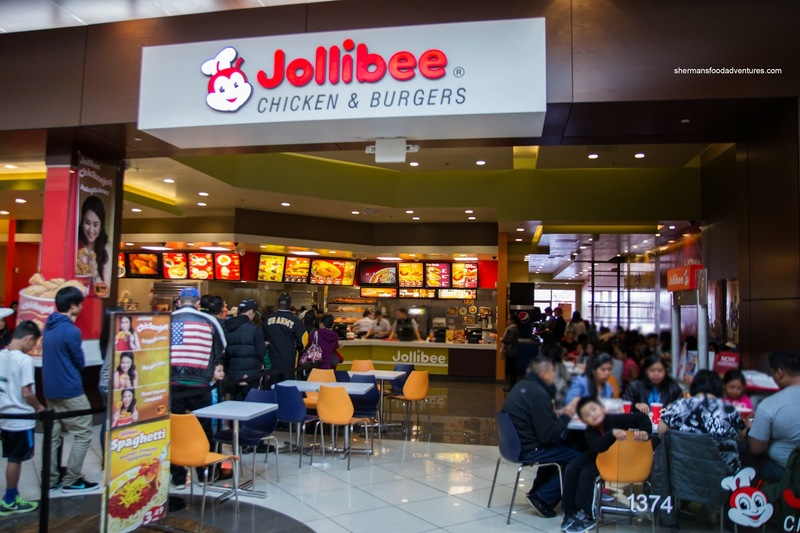 For those who are unaware, Jollibee is a fast food chain out of the Philippines which is famous for their fried chicken. 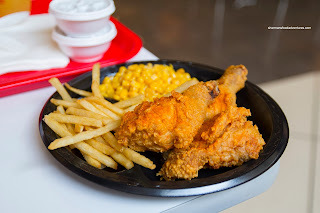 Okay, let's get right to the meat (sorry for the pun) of the meal with the 3 PC Spicy Fried Chicken with 2 sides (corn & fries). With one bite into the crispy and greasy chicken, the juices ran down my hand. It was so tender and moist - an indication of a good brine. But the best part was the spiciness. It hit my tongue with force but had a nice sweet, almost BBQ-like finish. Dunking it into the mild gravy helped temper the spiciness. The fries were pretty crispy with a starch coating. Not really fond of the corn though since it was a bit tough. As much as they are famous for their fried chicken, I had to try their Aloha Burger. 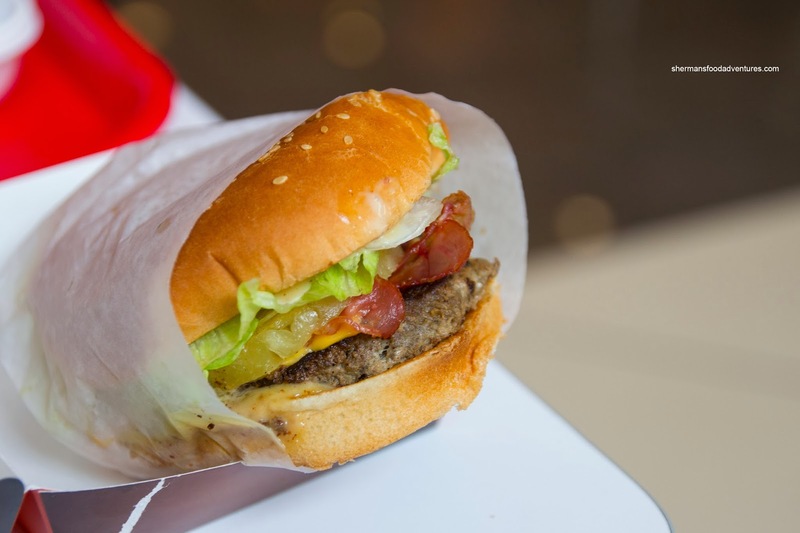 It was a pretty simple concoction of beef patty, lettuce, bacon, cheese and pineapple, however, I liked it. The bun was super soft and while the beef was well-done, it was not overly dry. My daughter insisted on the Spaghetti with ham, sausage, beef and cheese. It was a predictably sweet with barely any zing due to the use of banana ketchup. The pasta was not too overdone. A great spaghetti for kids, but an acquired taste for adults familiar with the American version. 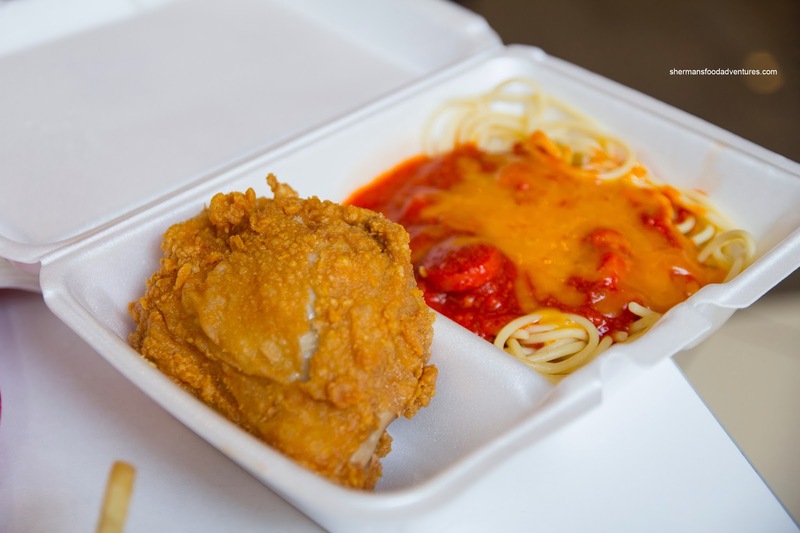 Her order came with a regular piece of fried chicken and it was also a recipient of a good brine. Juicy and flavourful. 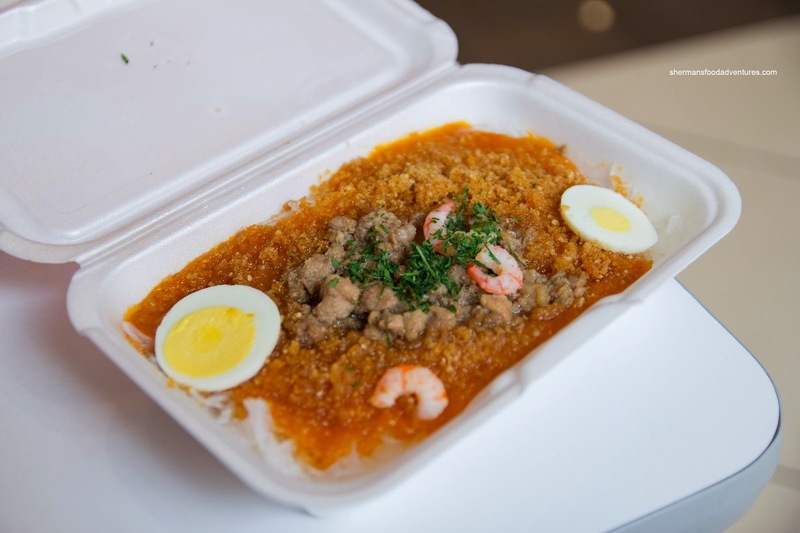 We also tried the Pancit Palabok (Fiesta Noodles on the menu) it was saucy, slightly seafoody, savoury and sweet. For a fast food joint, with prepared ingredients, this was was a decent version with layered flavours and enough meat. Overall, the meal was enjoyable, but the star was and will always be the spicy fried chicken in my opinion.